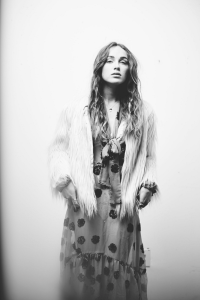 My full interview of young music phenom Zella Day from Rogue Magazine Issue #2 is now available online! She wrote her first album at 13 and is now breaking out in a huge way. You may have heard her song “Sacrifice” on the Divergent Series: Insurgent soundtrack or her woeful “Seven Nation Army” cover and, if you like that, you should definitely check out her debut album “Kicker” released this past June. She was a strong, soulful interview and her personality resonates deeply in her music. Elements of folk, pop, rock and soul mix to create her own fresh, unconventional sound. She believes that people respond to her music because of its eclectic appeal. “There’s something for everybody.” Read more at Rogue Magazine HERE!